CHA2 is an HDMI audio de-embedder, which de-embeds an analog audio out from the HDMI source. PA2B is a digital amplifier (Class-D) with 2 line & 1 MIC inputs, which supports EQ control and MIC mixing. With 2x20W@4Ohm as default output, it can be switched to 1x40W@8Ohm by bridge connection. PA100V Power Amplifier is a 40W Power Amplifier (Class-D) with output alternatively at 70V or 100V. It has 2 stereo inputs (1×3.5mm jack for line in, 2xRCA for L&R), 1 digital input & 1 balanced MIC. It is integrated with powerful functions, including ducking function, EQ control, MIC mixer etc, and MIC input supports 3 levels with condenser MIC, dynamic MIC & line audio input. 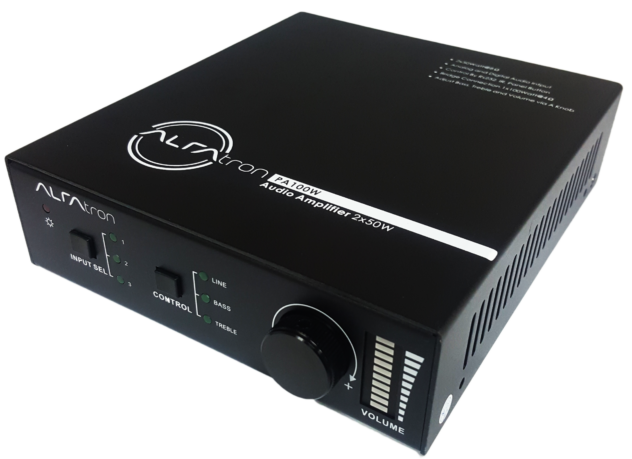 PA100W is a compact-size digital amplifier (Class-D) with 3 inputs (1 L+R stereo audio, 1 analog audio, 1 optical fiber audio). 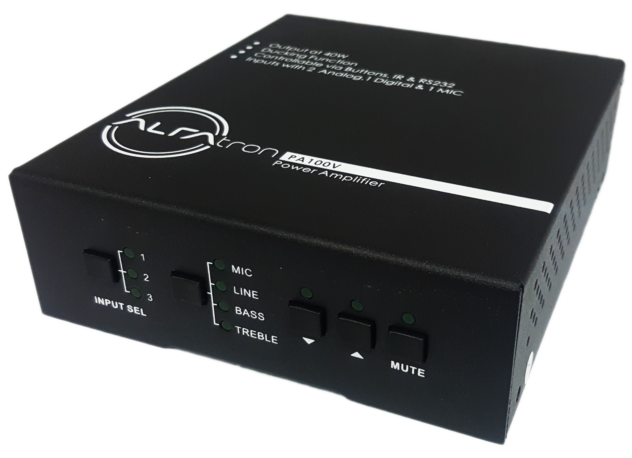 It features switchable stereo 2x50Watt@8Ohm or mono 1x100Watt@4Ohm output, and boasts complete EQ adjustment and intuitive work status display, making it an ideal addition to a classroom or conference room application.